There are a number of ways to dry your brushes after washing: lay them flat on a towel, hang them off the edge of a table, or, for the densest brushes, hang them straight upside down. But using brush guards is the easiest way I've found to do it! This set of guards from Beauty Bar comes in a pack of 15 pieces, with 2 sizes: large for the face/cheek brushes, small for the eye/detail brushes. I simply put on the brush guard with ample room at the end, then place the brush upside down. 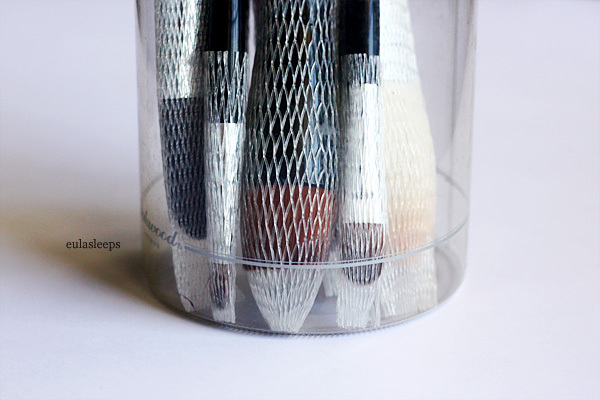 The mesh holds the brush straight down, drying the bristles and keeping their shape at the same time. 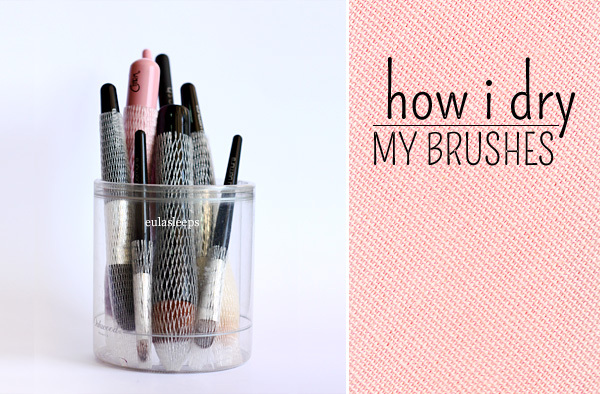 Brush guards are also great for keeping the bristles in shape during storage and travel. 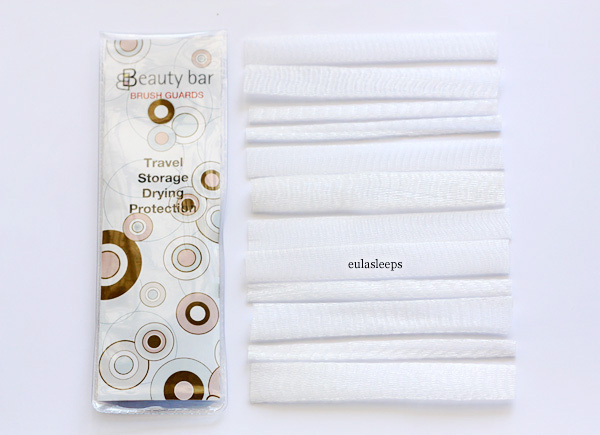 The Beauty Bar Brush Guards retail for Php 245 / 15 pieces.